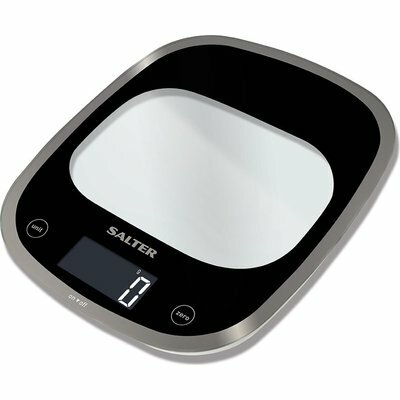 Svelte and sleek, the Curve Digital Kitchen Scale from Salter is the ultimate combination of beauty and functionality. Its backlit display is clear and large, making it easy to monitor measurements, while the hygienic curved glass platform is both attractive and a breeze to clean. 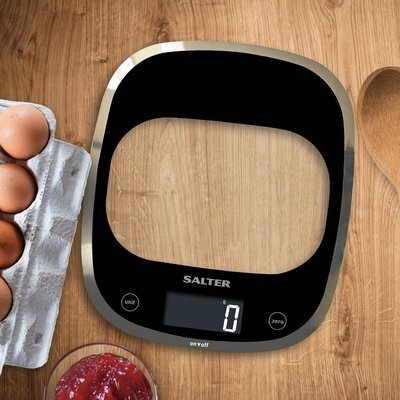 This Salter electronic scale includes the innovative Add & Weigh feature, which allows you to measure multiple ingredients in one bowl - meaning a clutter-free kitchen and less time wasted washing up. 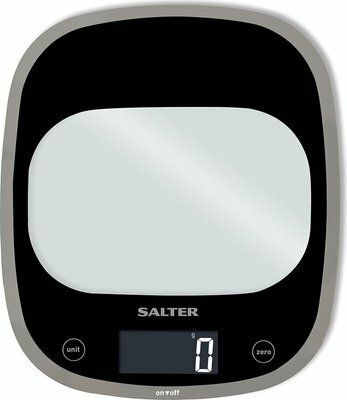 Available in black, it's your choice to either easily store away this slim line Salter scale or leave on your worktop to add a pop of colour and style to your kitchen.